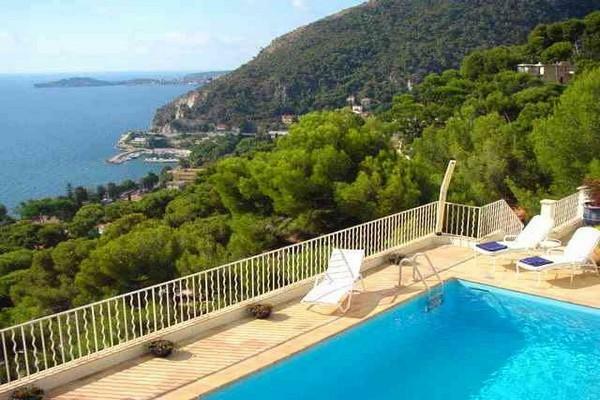 Perched on the side of a hill close to the medieval village of Eze, this marvellous property is a rare find. Park your car and a private cable car will take you down to the main entrance of the house. 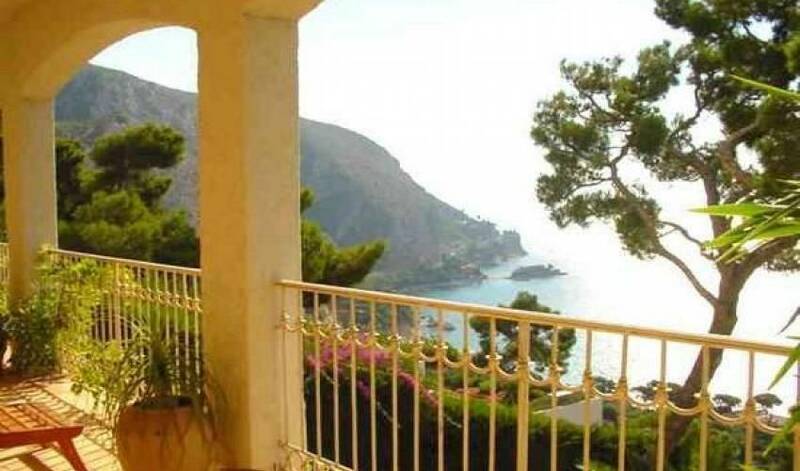 The stunning view that greets you when you open the front door will take your breath away. 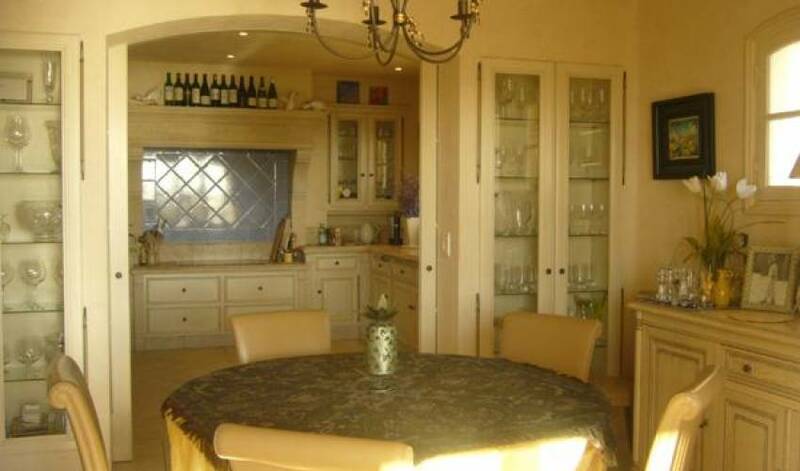 The reception room is divided into two sitting areas, one has a lovely fireplace and the other one opens onto the dining room. 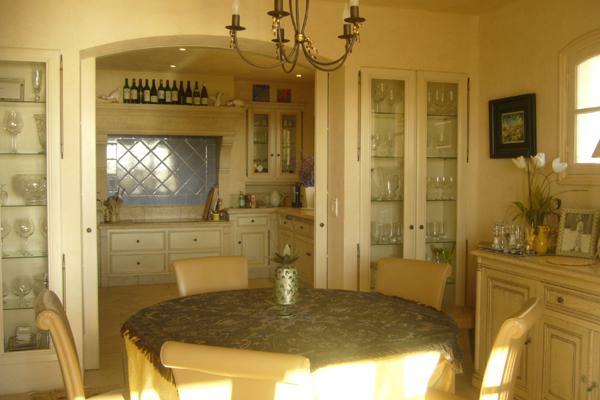 The rooms are very large and provide space and light. Downstairs, you will find a very cosy TV room to enjoy moments of relaxation as well as a gym room if you are feeling energetic on your holiday! All bedrooms enjoy sea views and have their own unique designs, you can choose between the African room, the Japanese room, the cream room etc. The master bedroom has its own TV room and dressing room. 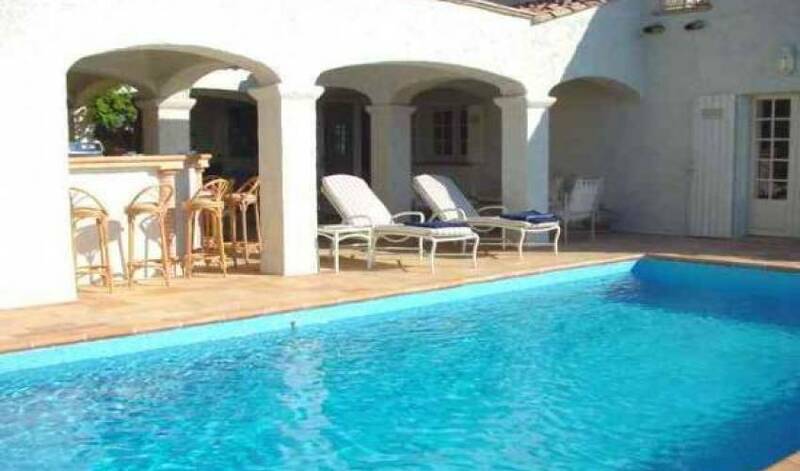 This is a highly recommended villa, but not suitable for young children as the garden is not very large. 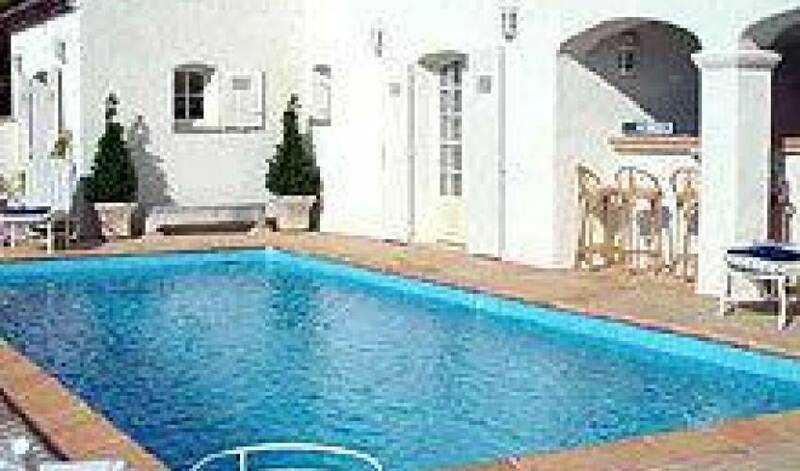 The equipment in the villa, and the facilities are of a very high standard and the plush soft furnishings are all in cream. Large living room with open fireplace, dining room for up to 8 people. Fully equipped modern kitchen. Master bedroom with en-suite bathroom, dressing and TV room. Double bedroom with en-suite bathroom and terrace, two further double bedrooms sharing a bathroom. Gym room. A delightful double bedded bedroom with terrace and an en-suite bathroom. 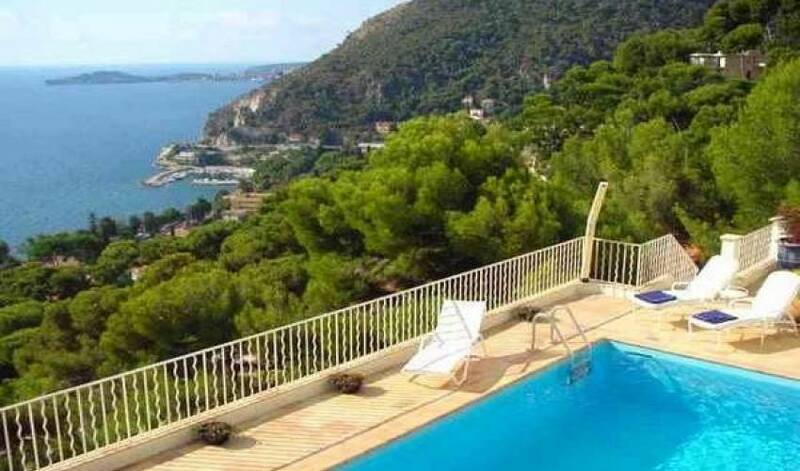 Nearest village -	Cap d'Ail	5 min. 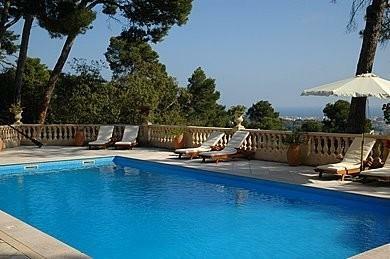 Nearest town -	Monaco	12 min. 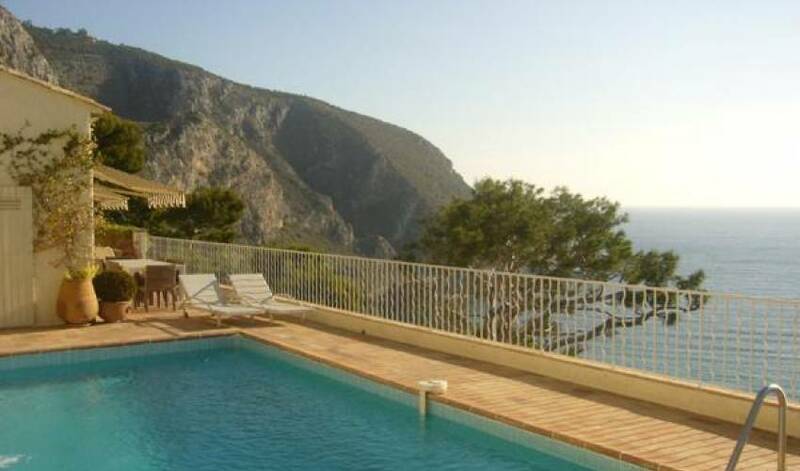 Nearest beach -	Eze sur Mer	2 min. 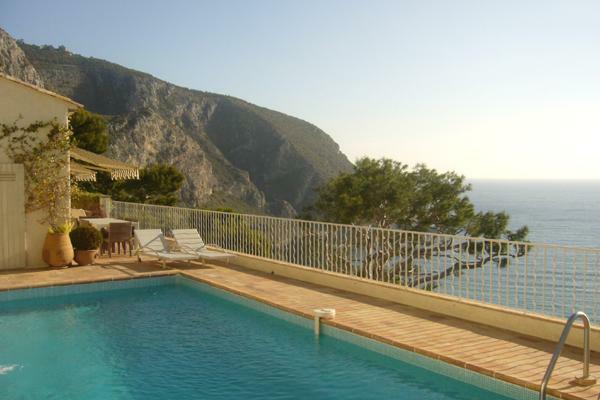 Nearest airport -	Nice	30 min.